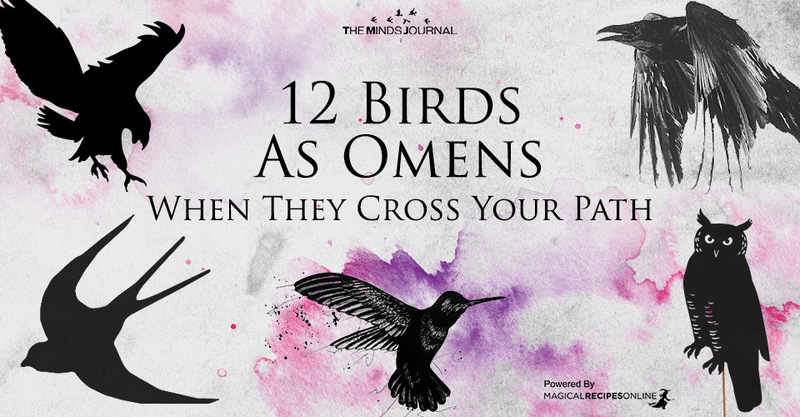 According to the Old Ways, if any of these birds accidentally cross your path, powerful omens are presented to you, for good or ill. Prophets of the Old Religion used to watch the skies, asking from the Gods for a signal. Most usually, they interpreted the presence (or the moving pattern) of birds as omens. For example, an eagle carrying a snake in its claws is a well-known omen of victory. During the Old Times animals and plants were all associated with Gods and Goddess. Athena had Owl as her sacred animal, symbolizing her broad awareness and alertness, while Zeus sacred bird was the Eagle, symbolizing that as this amazing bird flies so high, so does Zeus can always see the whole world. Everyone had a soft spot for animals, therefore close encounters with animals were supposed to be divine interventions at some point. We have selected the ones who are considered to be the most significant bird omens of all. Hummingbird is harbinger of Joy and victory over darkness. The Atzec God Huitzilopochtli, who literally means the Southern Hummingbird (or left-handed humminbird), is considered a warrior. Huitzilopochtli, is an incarnation of the Sun and the Solar Forces who keeps on struggling with the forces of Night to keep mankind and the whole creation alive. Seeing a Hummingbird is an omen of hope. Especially is the hummingbird is hovering, is considered a divine message from Huitzilopochtli, telling you that you can achieve the impossible. Are you close to the truth? The joyful Swallow bird is considered a very auspicious bird. Swallow birds symbolize the rejuvenating forces of Mother Nature. The coming of Swallow birds are associated with the Spiring Equinox, and the Rebirth of Nature. Swallow birds are associated with the return of Goddess Persephone from the Underworld, signaling the beginning of Spring. When you spot a swallow earlier than the Spring Equinox is considered a most auspicious omen. If swallows choose to build their nest on your house, this is an omen of happiness, fertility and good luck. However, if someone destroys it, this is harbinger of bad news. Owls are believed to be harbingers of doom and carriers of unimaginable wisdom at the same time. (Read here more about Owls as totem animals) Maybe owls know things and they appear to warn us about what is coming – usually something huge – either this is for good or ill. Owls have been associated with many gods and goddess but one of the most powerful association is with Athena (Minerva) the Goddess of Wisdom in Ancient Greece. When an Owl appears one has to be extra careful about his/her next steps as the Owl tries to make us ready for what’s coming (it doesn’t have to be bad but it’s certainly very important or even life-changing). If you are a Witch, the appearance of an Owl probably means that our magic is strong and we should be very careful with the energies we summon. We should choose wisely!